Whitstables working harbour was constructed in 1831, and it’s history (which can be discovered in more detail at the local museum) includes diving, shipbuilding and fishing. Whitstable is like no other town by the sea. Its traditional charms, maritime history and modern appeal makes it a peaceful place to visit, but you’ll never get bored. Of course Whitstable is also home to our very own Haven Cottage as well. Whitstable is a photographers paradise, the scenery is glorious but don’t worry if you don’t have the skills or equipment to capture all the views, the galleries in Whitstable are full of paintings and photographs by local artists for you to look at or perhaps even treat yourself to. Coastal walks at Tankerton are a must, at low tide a shingle bank stretches out to sea, so you can walk out and take in the views back to the shoreline. Whitstable is just 1 hour drive from London, on the North cost of Kent, who’d have thought that all that fresh sea air was that close to the smoke and hustle and bustle of the big cities! Shoppers love the independent craft and gift shops, delicatessens, butchers and bakers that Whitstable has to offer … and very often round off the day’s shopping with a sneaky half or chilled glass of white wine in the pub … on the beach!!! Whether you fancy a cycle ride along the Crab and Winkle Way, a boat ride, a round of golf or a go at surfing or windsurfing, you will always find something to do in Whitstable. Whitstable’s main claim to fame is its oysters which are celebrated every July at the Oyster Festival. Oysters and other seafood can also be eaten out at the many local restaurants or bought at the fresh fish market at the harbour and taken back to Haven Cottage for lunch or supper. Forget the image of hankies on your head and rolled up trousers, Whitstable gives off an uber cool bohemian vibe which will keep you coming back year after year. 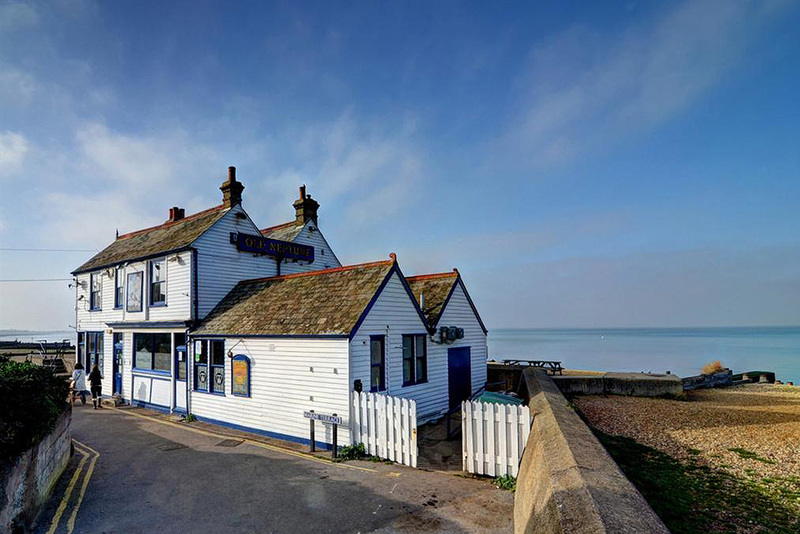 Part of the fun of any holiday is eating out and having a good time, there are loads of local restaurants and pubs in Whitstable to discover, and a great live music scene to enjoy as well. The longest established event is the Regatta dating from a sailing contest in 1792 which is held in August every year , and as already mentioned the Oyster Festival takes place every July … along with loads of other land and sea based activities all year round.